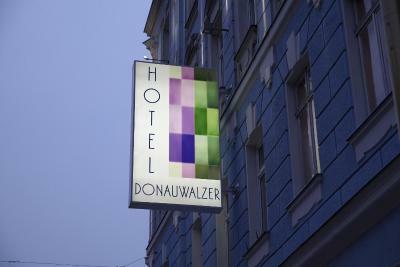 Lock in a great price for Boutique Hotel Donauwalzer – rated 8.3 by recent guests! I went with a family of adults children. We got two bedrooms. My husband and my room was great, but the boy’s room was tiny! The size of a college dorm room. I think I’d ask to see the rooms first next time. Breakfast was very good. Manager was friendly and welcoming. 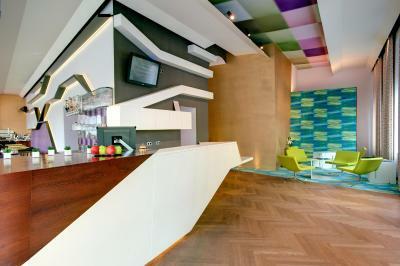 Most of the front desk was friendly, but two young men were the typical snotty Viennese. Hotel is nice and clean. 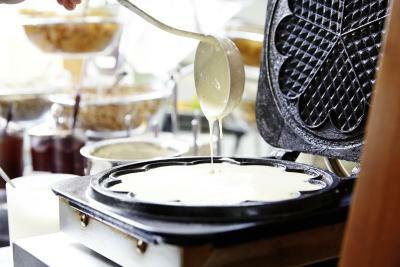 Service is good, breakfast is very good with variety of choices, staff was friendly and helpful. Tram station is in front of the hotel and tube just 2-3 minutes to walk. The hotel was wonderful from the room to the outstanding breakfast. The was helpful and friendly. They spoke perfect English. Great location. Breakfast cost more than I wanted to pay, but it was fairly priced. Very popular among guests. Room was spacious and clean. Good location. Staff friendly. 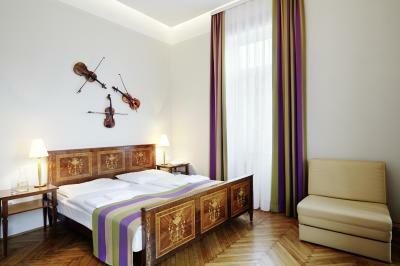 The room was big and nice, with music decoration. The location, although not perfect, was conveniently next to transportation. 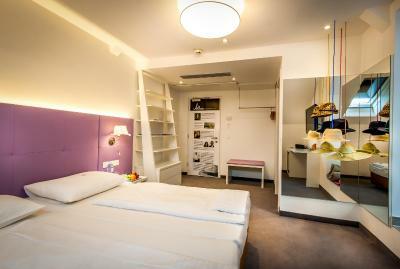 Its very clean, comfortable and welcoming hotel. 4G smart phone is a big advantage for foreign travellers. 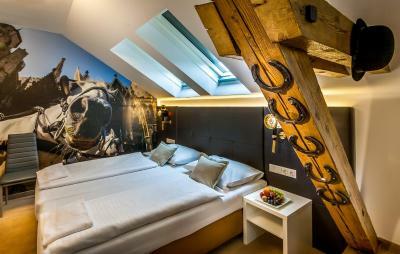 The family-run Boutique Hotel Donauwalzer is right next to the Alser Straße Underground Station (line U6) and is within a 15-minute walk of the Ringstraße boulevard, the Votive Church and the Town Hall. 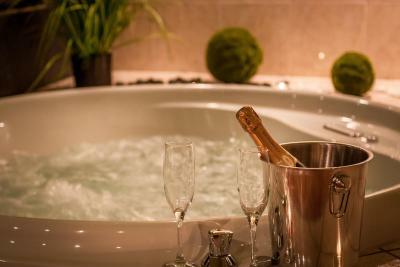 It features free WiFi, a spa area (accessible at an extra charge), and a green courtyard. The center of Vienna is reachable by tram in 6 minutes. 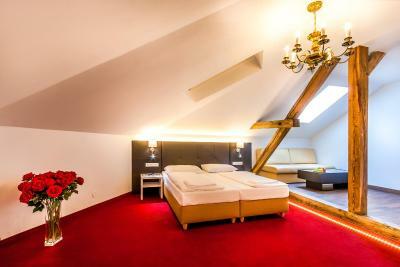 All rooms at the Boutique Hotel Donauwalzer have carpeted or parquet floors, a private bathroom, and satellite TV. A Nespresso coffee machine can be used for a surcharge during the whole stay. 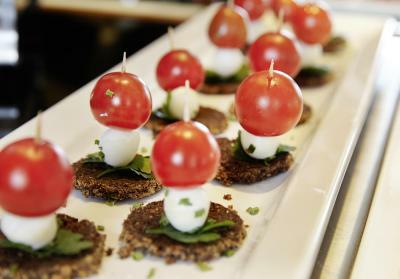 A hot and cold buffet breakfast with sparkling wine is offered every morning. 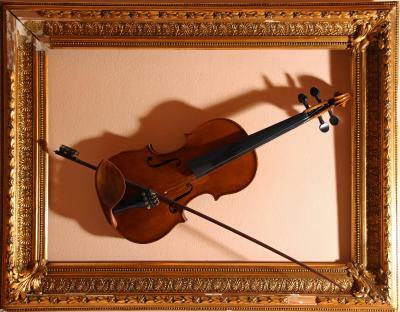 Every Sunday, live classical music is played at breakfast. Vienna’s General Hospital (AKH) is only 1 underground stop away. The Hernalser Gürtel Tram Stop is right in front of the Donauwalzer. 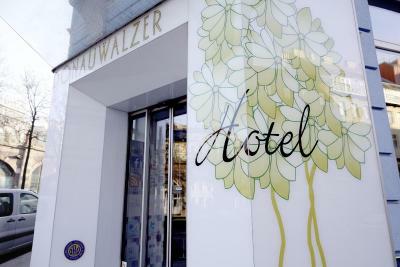 When would you like to stay at Boutique Hotel Donauwalzer? 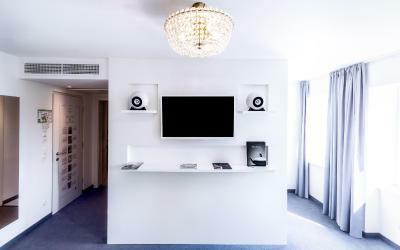 Renovated rooms with a bathroom, satellite TV and a minibar. Some of them face the park. 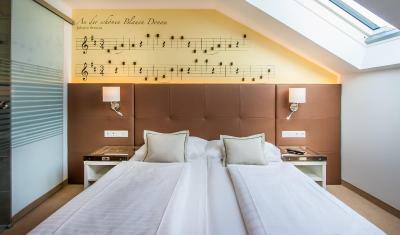 All rooms have soundproof windows. 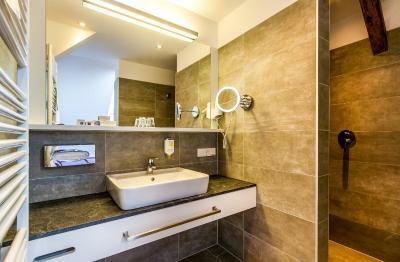 Renovated rooms with a bathroom, satellite TV and a mini-bar. 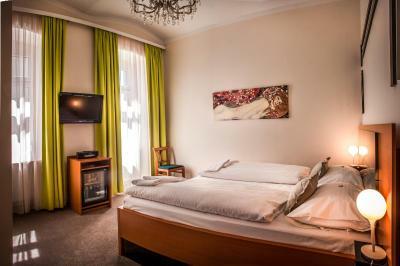 All rooms are equipped with soundproof windows. 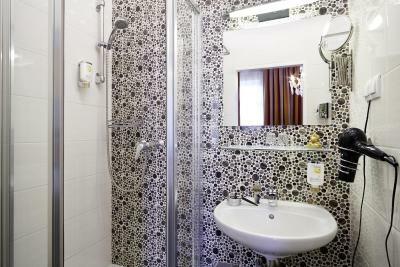 Renovated and quiet rooms with a bathroom, satellite TV and a minibar. All rooms face the park. 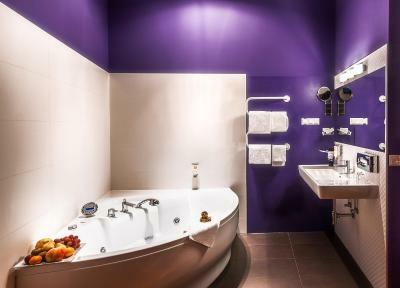 Modern and stylish rooms with a hot tub, satellite TV and a mini-bar. 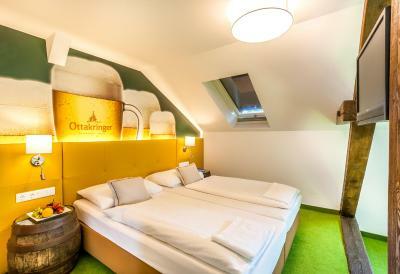 Rooms of a smaller size with old fashioned bathrooms, satellite TV and a mini-bar. 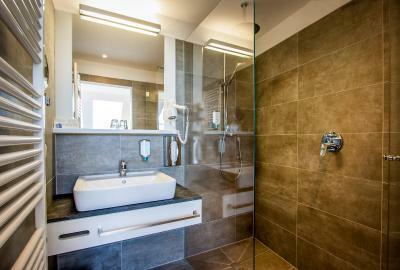 Built in 2015 and located on the top floor, this air-conditioned and soundproofed rooms feature individual decorations and have underfloor heating, a Bose Sound hi-fi system, a mini-bar, and remote-controlled window shades. 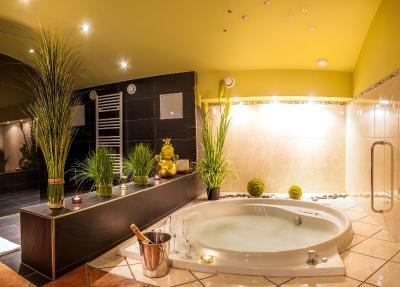 House Rules Boutique Hotel Donauwalzer takes special requests – add in the next step! 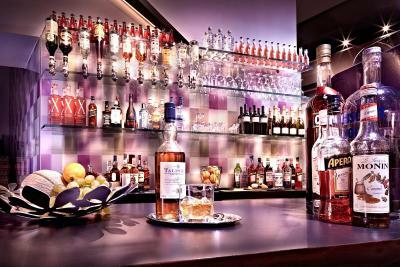 Debit card Boutique Hotel Donauwalzer accepts these cards and reserves the right to temporarily hold an amount prior to arrival. 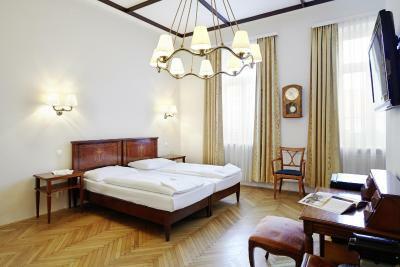 Boutique Hotel Donauwalzer accepts these cards and reserves the right to temporarily hold an amount prior to arrival. 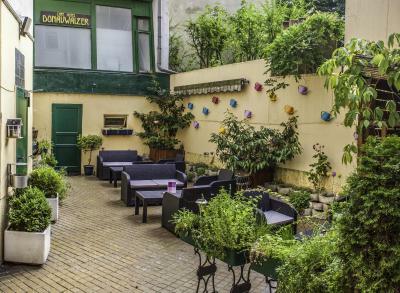 Very easy location to get around Vienna from. U-Bahn and tram connections just outside the hotel. Or a nice 30 minute walk into Alexanderplatz. 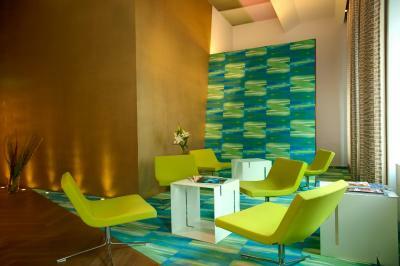 Friendly staff, comfortable and spacious rooms. Would definitely recommend. There was no live music when we had breakfast in the weekend. Not a big deal, but we had hoped for it because it was mentioned in other reviews. The airco did not seem to work very well, but this may have been a temporary issue, to be honest, we did not even bother to tell the reception (did not think about it). The Gürtel (street where the hotel is) may not feel very comfortable to walk alone at night. Keys are old school. We had a very pleasant stay. The breakfast was superb. Very friendly and helpful staff. 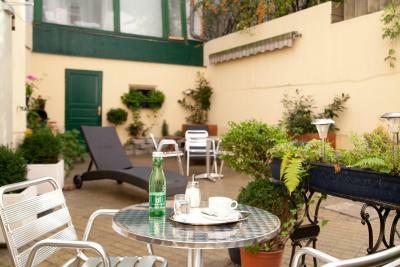 Tram is across the street, Alser Strasse U-bahn station is a 5 minute walk. Wifi is excellent. Atmosphere is fine. They are building a terrace on the roof; too bad it was not open yet, because it must be wonderful to sit there. Free to use phone with internet could also be very handy (we did not need it, because we are EU-residents and can use our own phones with no extra costs). Last day we had to leave very early (before 5 am), so the breakfast was not served yet, but we were offered croissants and coffee to go. Wifi could be better but we did not visit the Vienna for wifi :D All was really nice, nothing to complain about. 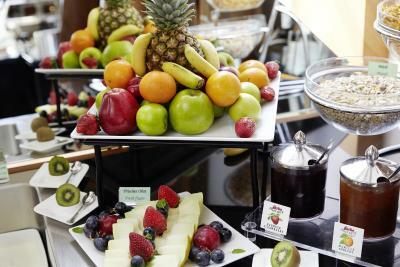 Great breakfast, lots to choose from! They even offered free Waltz classes to try for free. Location not right @ city centre so not too noisy but very easy to be reached via metro/trams. Friendly staff both at breakfast and reception. What was interesting is that the manager (director) of the hotel was asking guests re their stay during the breakfast on Sunday- really personal touch. Horrible bed. 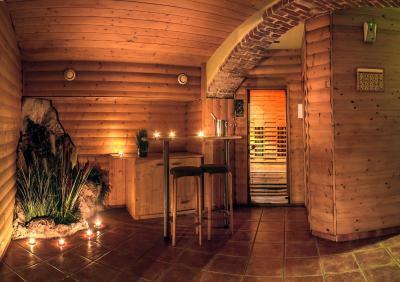 Staff did not know the heating and offered me a electric heater close to wetfloors. I had to lock myself in otherwise door is just a bedroom door and they suggest I take key out so I’m case if fire they can open the door from other side??? The main street is a bit loud and busy by the hotelfront. Nice hotel, very nice room and helpful staff. The people in the room next door fighting and talking all night until 3am. Not anything to do with the hotel just unlucky on my part. It was a great stay. 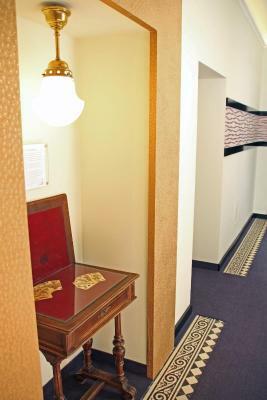 The only thing would be that some rooms' furniture was more up to date than others'. Breakfast was amazing, lots of food and many to choose from. Also, location was really good, as the subway is 2 minutes away and the tram takes you directly to the centre. Rooms were very clean. The shower kept running hot and cold, but we coped. 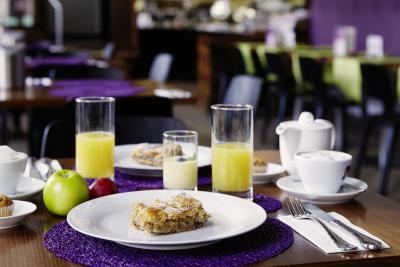 Hospitality, the buffet breakfast was very good and the hotel was nice and clean. It was on a very busy road junction but the sound proofing was adequate, we slept well. The hotel is not very close the the city center. It's still doable by foot, but the direct area is busy with cars. 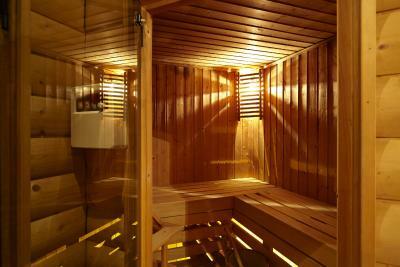 I did not used the sauna and other part of the hotel than my own room and the breakfast room/reception, so I cannot comment on those extra facilities. 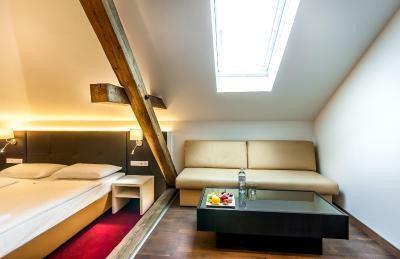 The hotel is actually quite good for its price. 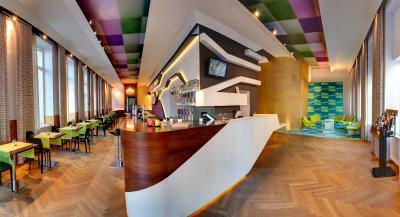 I really enjoyed the old charm of the place, combined with a modern room for the reception - breakfast. There was a contrabass in the corridor (4th floor), which was actually working ! 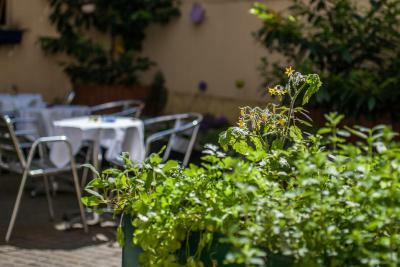 The breakfast was amazing, which, in itself, would make me recommend the place.